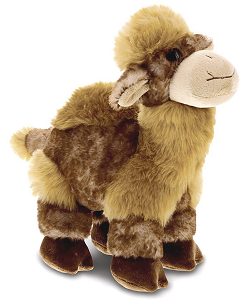 This adorable Camel Super Soft Plush stuffed animal cannot wait to join you for hours of imaginative adventure. Just like it's name implies, the fur on this camel stuffed animal is super soft and the special brown-tipped white coloring adds an extra splash of personality. With a huggable body, fluffy tan accents in a longer fur which adds fun dimension, brown hooves, tan inner ears and sweet smiling face, this plush camel has a floppy tail and large yellow watchful eyes. 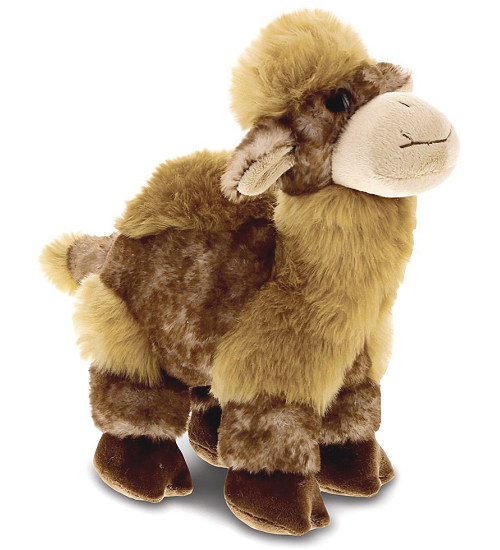 This sweet little plush camel has a soft tan fur, warm brown eyes, and fluffy accents. Plush Sahara camel has super-soft light brown fur, perky ears, tan accents, and a soft huggable body.